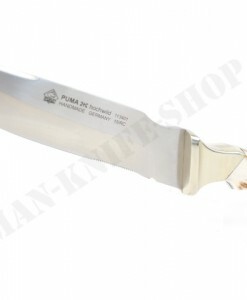 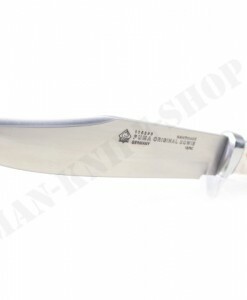 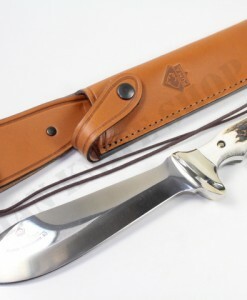 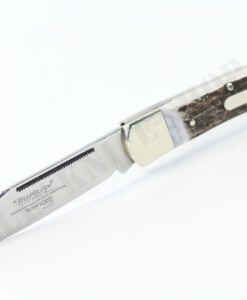 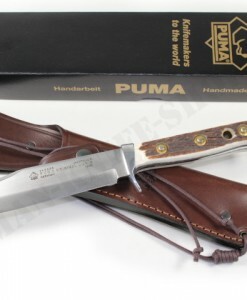 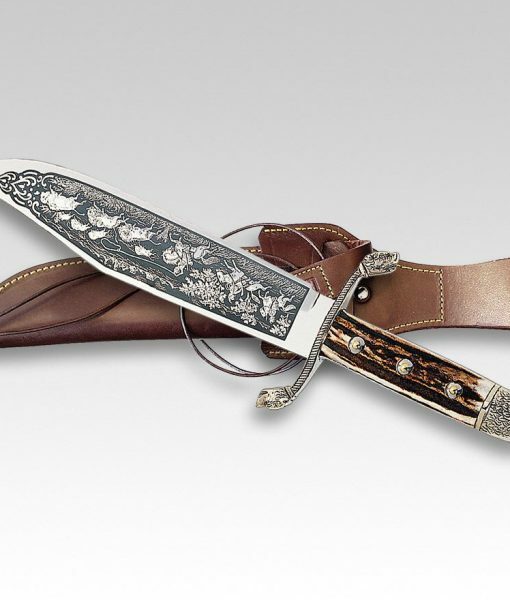 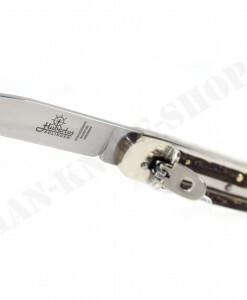 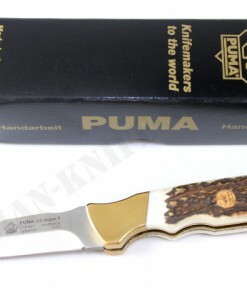 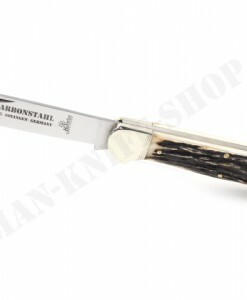 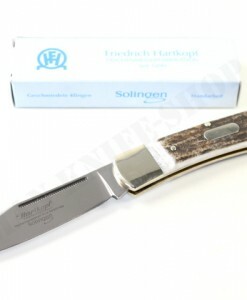 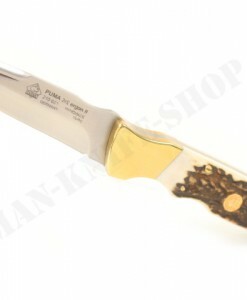 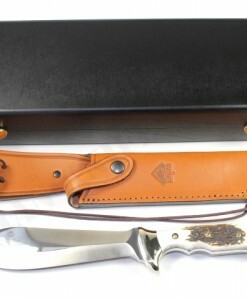 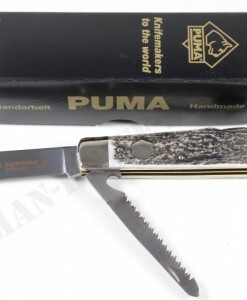 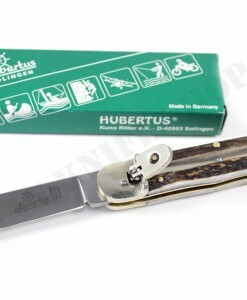 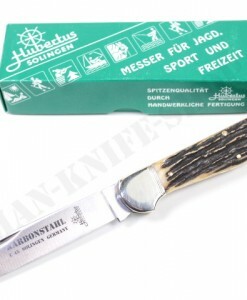 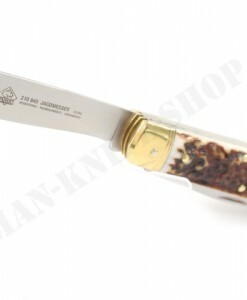 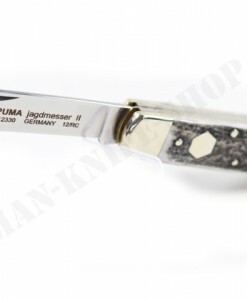 Limited Special Edition with unique etching showing a buffalo hunting scene on back of the blade. 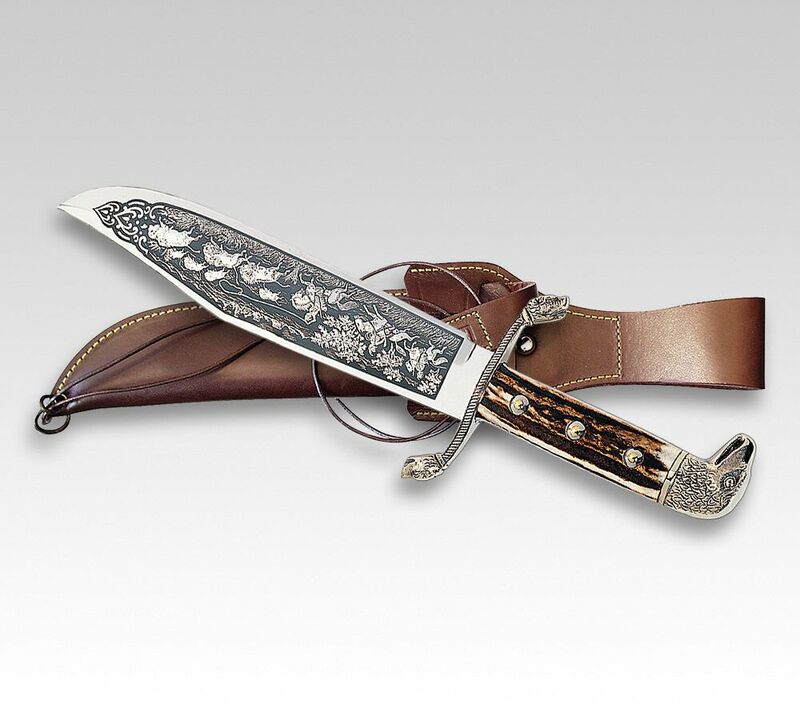 Large Bowie with eagle head pommel and dog head guard, both made of nickel silver. 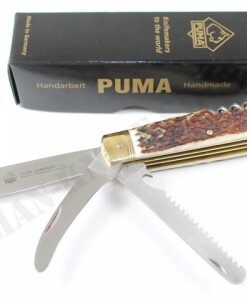 Select stag scales. 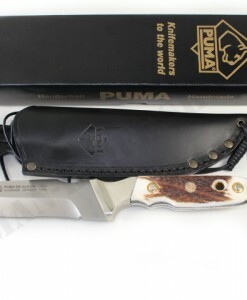 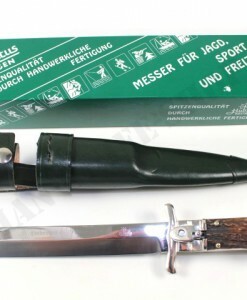 Firm leather sheath. 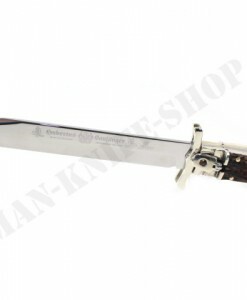 10” 440A stainless steel blade.